But what if “just fine” isn’t good enough? What if your air conditioner actually isn’t working as efficiently as it could, and as a result is costing you more money than you should have to spend each month? We recommend maintenance because it helps prevent problems. We would love for you to never run into an emergency AC repair need, but the only way to help guarantee that is by taking proper care of the system. What Is Maintenance All About? If you’ve never scheduled air conditioning maintenance before, or if you just don’t know very much about it, then this will be one of your first questions. Maintenance is a service that allows our highly trained technicians to come in and thoroughly clean the interior components of your AC system to make sure that it is able to perform as efficiently as it’s meant to. Additionally, we comprehensively inspect your cooling system and check for any components that need adjustment, repair, or even replacement. 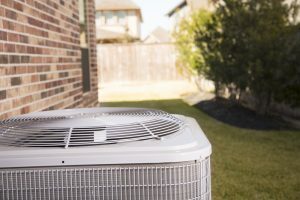 Ultimately, maintenance serves to improve the longevity and performance of your air conditioner, and we really can’t understate the importance of this service. When Should I Schedule Maintenance? Generally speaking, we recommend you schedule an AC tune-up right before you need your system the most. This would typically be early spring—right about now. Of course, in our area we’re still dealing with cooler temperatures, but it’s far better to be prepared too early versus too late. And actually, the time of year you have maintenance done is less important than how frequently you have it done. Maintenance should be completed once a year, at least. If you have a heat pump system cooling and heating your home, then you’ll want to schedule maintenance for this single system twice a year, considering it does twice the work of a conventional central HVAC system. One of the primary reasons we recommend keeping on top of your annual AC maintenance appointments is for your comfort and the comfort of your family. Over the years, AC systems start operating less effectively and efficiently. Components start to wear down because of natural wear and tear, just like what would happen to your vehicle if you skipped auto maintenance. Maintenance also keeps your family safe! Air conditioners, of course, are not inherently dangerous, but they do have components that can be harmful, especially if you try to repair or maintain your system yourself. Take the refrigerant for instance. This is a chemical that makes the cooling process possible, and if it leaks it could seriously injure someone. Fortunately, you don’t need to worry about this when you call on our pros for your AC maintenance needs. When you’re ready to schedule your air conditioning tune-up in Chicago, IL, contact Shavitz Heating and Air Conditioning.